Cool method of transferring data - Through SOUND!! Melody is a software which is capable of transferring Data over Sound (DoS). This is a suite of two Android apps. 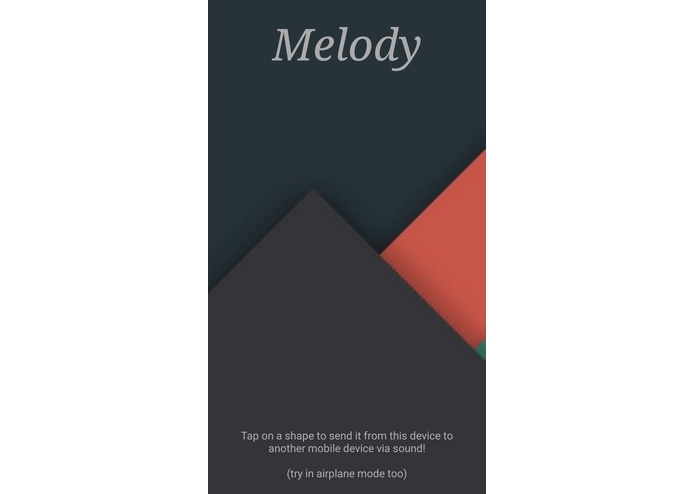 1) Melody : Shows the proof of transfer of data from one device to another by using just sound. This can also be demonstrated by using turning on the airplane mode. 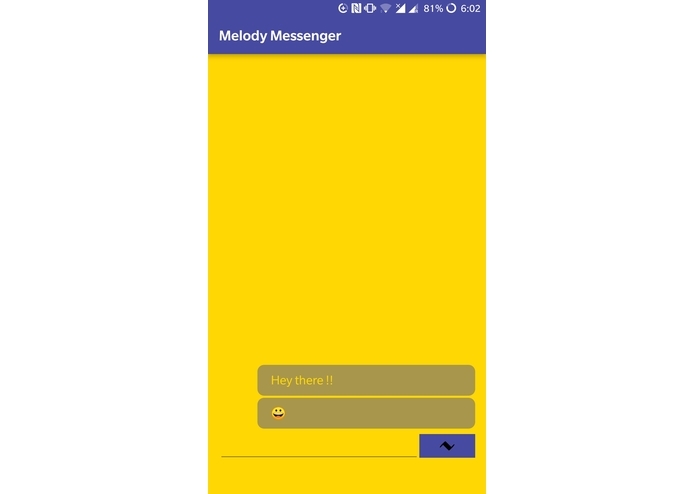 2) Melody Messenger : A text messenger which is capable of communication over sound without signals. It also supports the most important element of modern day texting - EMOJIS!! Any device with a speaker can emit the sound and hence send the data. Any device with a microphone which is able to pick up this sound is able to receive this data. The sending, or encoding device must be able to emit a series of sine tones at 1.7kHz to 10.5kHz with accurate timing. The apps are designed on Android Studio, completely written in Java, therefore this particular app cannot be converted to an iOS app. However, this app can be redesigned using React Native with a Java Backend to run successfully in iOS. One of the major concern is, protection of the payload. As this does not use any kind of encryption, it is very easy for hackers to intercept the message. This is a problem which can be overcome by using end to end encryption but, I was not able to build it due to time constraints. I actually had a teammate who couldn't show up because he was ill. I was completely dependent on him for the frontend. I'm proud that I could create this without any help. Even the front end was designed by me which was a huge confidence booster to me. 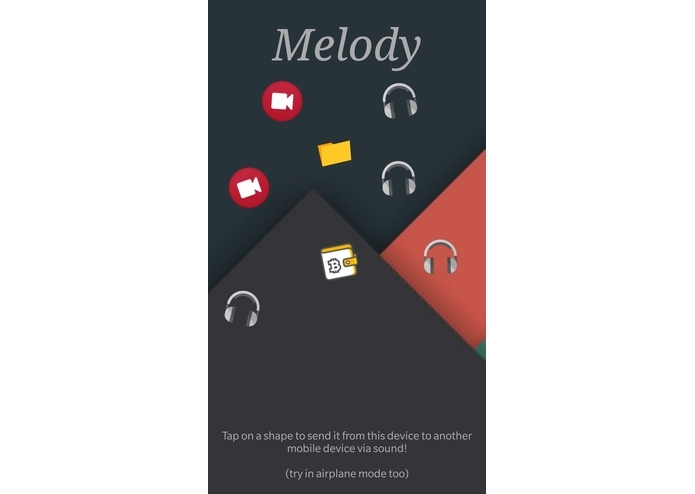 The main application which I want to use Melody is to replace the payment methods of today. 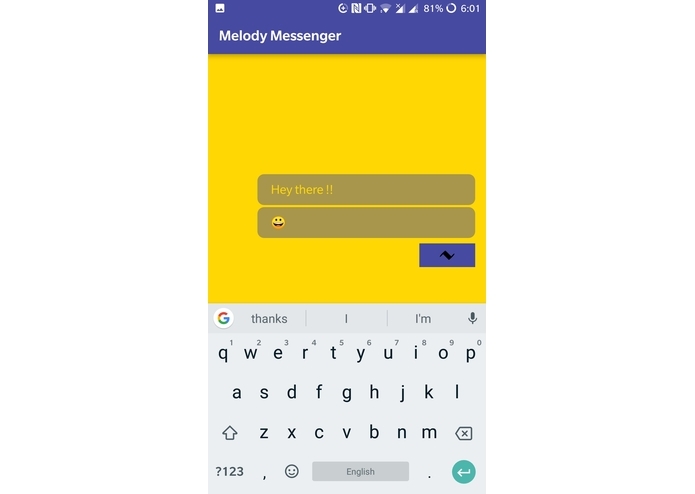 This will make Melody mainstream and also more secure once end - to - end encryption has been designed. I'm a huge believer in Open Source software. Therefore, this will be released for public use. This will ensure that a wide range of public and many amazing developers will have access to it which will improve the way it works.